During his interview for Marca, Lionel Messi finally opened up about the challenge that Cristiano Ronaldo issued him to play in Italian Serie A. Just a few months ago during an interview, Cristiano Ronaldo sent Lionel Messi a challenge to go play in Italian Serie A after FC Barcelona. Until today, we hadn’t heard anything about the Argentine’s response in regards to this specific challenge but things have changed. There have been several topics that Messi touched during the latest interview he gave to Marca, he agreed on being fifth in the Ballon d’Or positions, he spoke about Ousmane Dembele and his potential to become the best player in the world, he even spoke about Cristiano Ronaldo’s arrival in Juventus. But there is no question that the most interesting topic he touched was that challenge, Messi surprised everyone by stating that he is not really interested in playing in another league that is not La Liga. Leo’s nature is more connected to continuing his legacy at FC Barcelona, he doesn’t mind about proving a point to anyone, unlike Cristiano Ronaldo who always looks for validation for his work. Messi cares a lot more about living a comfortable life with his family, while playing for the club of his life. 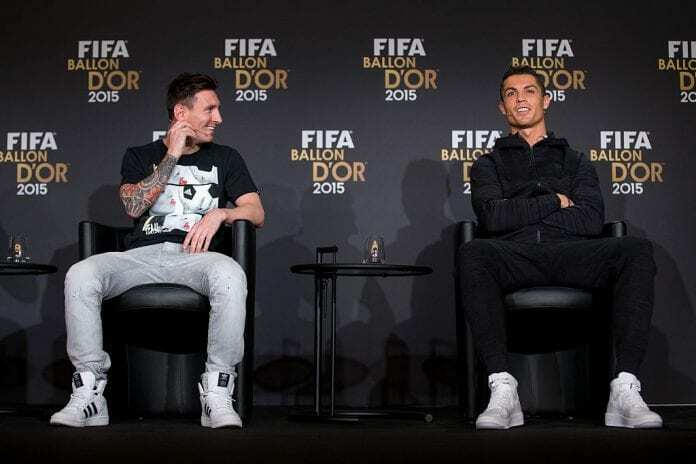 But for the first time ever, Lionel Messi reflected on the historic rivalry that both he and Cristiano Ronaldo gave us during those nine seasons they both shared as La Liga’s stars. There hadn’t been a direct quote from Messi as specific as the one he made during this interview, where he spoke about the meaning of competing against Cristiano Ronaldo on a weekly basis when he played for Real Madrid. Leo knows how important both players are for football, he certainly enjoyed his time playing against the Portuguese player and proved that they have nothing but respect for each other. But as far as continuing this very special rivalry at club level, it sort of feels like Lionel Messi has shut down any hopes for him moving to Serie A in the future and that has to be a little bit sad for anyone who loves football. We are never going to see another sports rivalry quite like this one, all we have left are the Youtube videos and the great memories. “I already said it by the start of the season, Real Madrid is a great club. They are one of the best clubs in the world and they have players to spare, but any squad would’ve missed Cristiano after he left,” said Messi on Marca. “I really don’t need to change my club in order to set new targets. I feel at home, the best club in the world and I don’t have a need to change anything,” he concluded. Why do you think Lionel Messi doesn’t want to leave Barcelona to play in another league? Please share your opinion in the comment section down below.